Learn more about my favourite food tour…ever! I’ve attended food tours in the past with mixed results. Some food tours lend themselves well to veganism. Perhaps the restaurants have an awesome vegan option or they’ll prepare tasty vegetarian samples as a take on their regular menu. And then there are the restaurants that bring out a plain, green salad for the vegan in the crowd. Fear not. 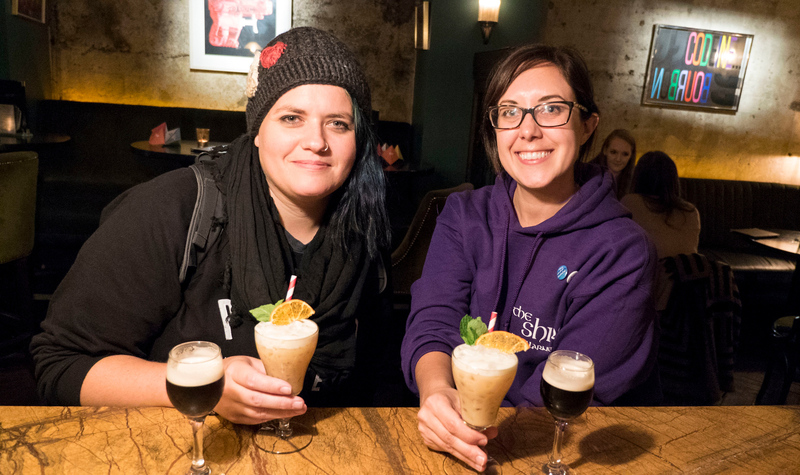 On Vegan Dublin Food Tours, you won’t have to eat a single leaf of plain romaine. 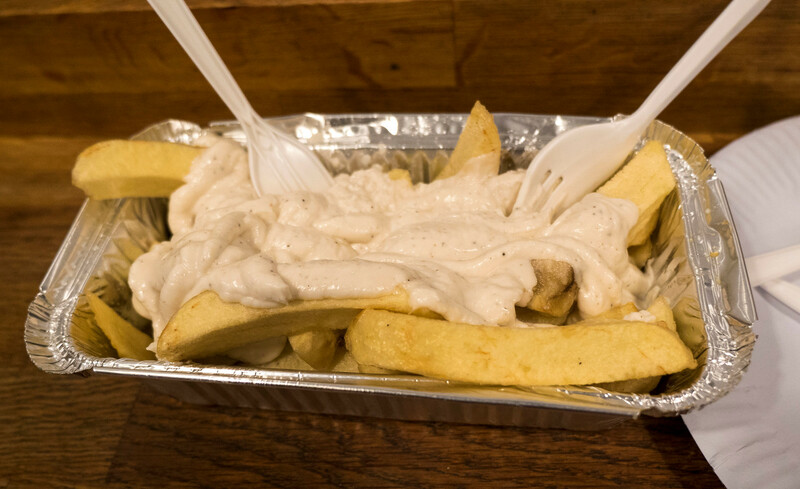 It’s all about indulging in the great vegan food that Dublin has to offer. 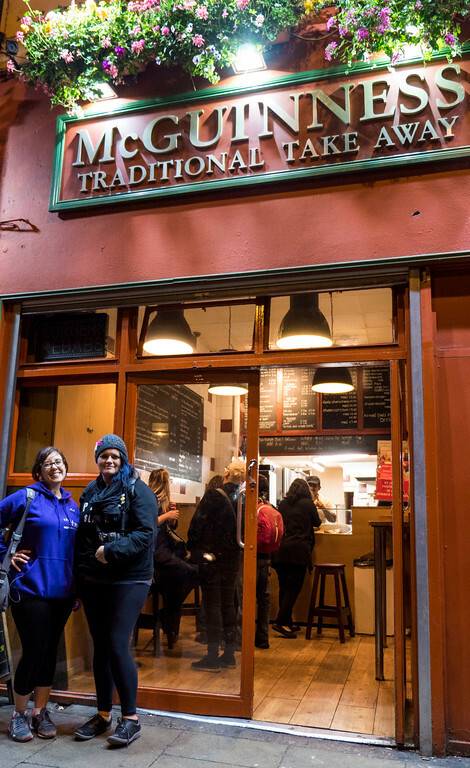 From healthy to unhealthy and savory to sweet, Vegan Dublin Food Tours has every angle covered that will surely impress herbivores and carnivores alike. 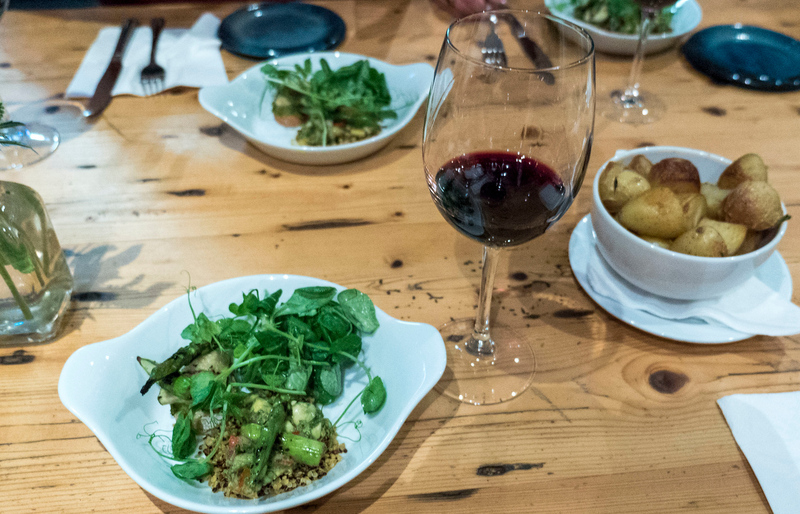 Have you ever tried a vegan food tour? While this tour may appeal to those following a vegan diet, it’s for everyone. If you’re interested in trying Irish favourites prepared using plant-based methods, this tour is for you. If you recently watched What the Health and you’re vegan curious, this tour is for you. And if you wonder, “What the heck do vegans eat?” – that’s right, this tour is for you. 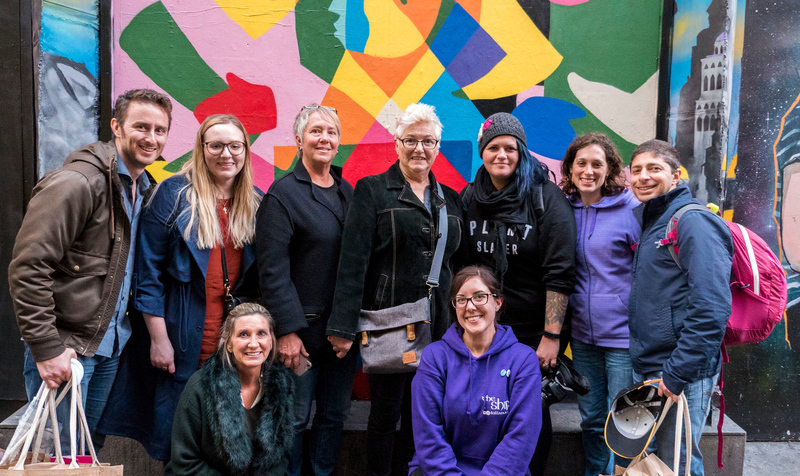 Allow me to take you on a vegan food tour of Dublin as seen (and devoured) on my Vegan Dublin Food Tours experience. Meet our group! We were a mix of strictly vegan and plant-based curious folks from around the world. I’m from Toronto, Ashley is from Tennessee, and our other tour attendees hailed from Tel Aviv, Ireland, San Francisco, and Alberta, Canada. 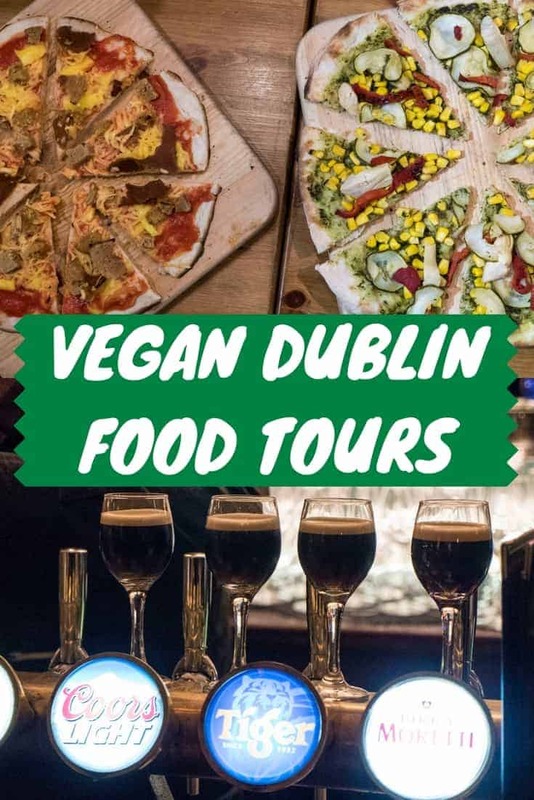 The tours are led by the owners of Vegan Dublin Food Tours, a vegan couple named Scott and Sivan. They’re both very sweet, upbeat, and have a kind way of discussing and introducing vegan ideas. You don’t have to worry about any kind of judgment being passed if you’re not vegan on this tour. It’s all about learning and trying new foods, as well as sharing the positive effects of choosing a plant-based lifestyle. A couple of people on our tour followed a gluten-free diet, and this was completely accommodated with gluten-free options readily available from place to place. My main advice to you: bring your appetite! As you’ll see, you will have the chance to eat a lot of food. To begin, we met at the Wine Cellar of Fallon and Byrne, a quaint grocery store with a wine bar in the basement. The wine for sale there has the vegan wines clearly marked, which is pretty rare. Our group mingled and munched on a couple of light bites. We savoured a unique bruschetta toast with a pea spread, Mache lettuce, along with a quinoa and avocado salad. This was served with a side of roasted baby potatoes. The tour purposely starts with healthy dishes, and gradually introduces more “naughty” foods as the night goes on. After a quick pit stop in front of the salon, Skinfull Affairs (which has cruelty-free products for sale and used in their salon), we walked over to Cornucopia. 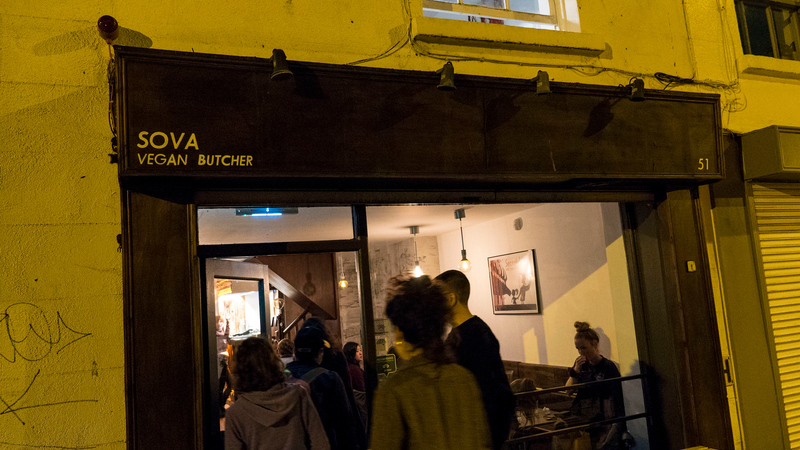 This is the first vegetarian restaurant to open in Dublin, back in 1986. 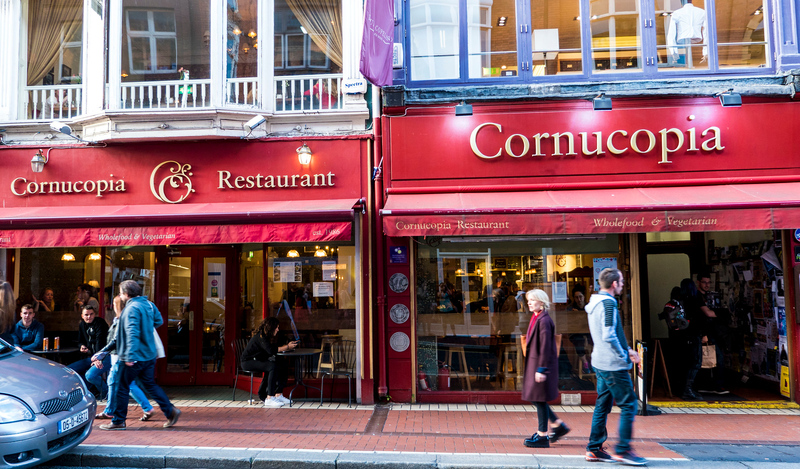 Ashley and I dined at Cornucopia when we first arrived in Dublin, and we were happy to return. At Cornucopia, we were served a small sampling platter that seemed more like a feast. We tried: garlic potatoes (a traditional Irish food, made with vegan mayonnaise), coleslaw, a carrot radicchio salad, a pate made out of mushrooms and beans, a tofu curry, and a casserole made with tofu, mushroom, and pepper. Cornucopia has a range of healthy menu options and sinful desserts. Their vegan options are clearly labelled, and everything is vegetarian. 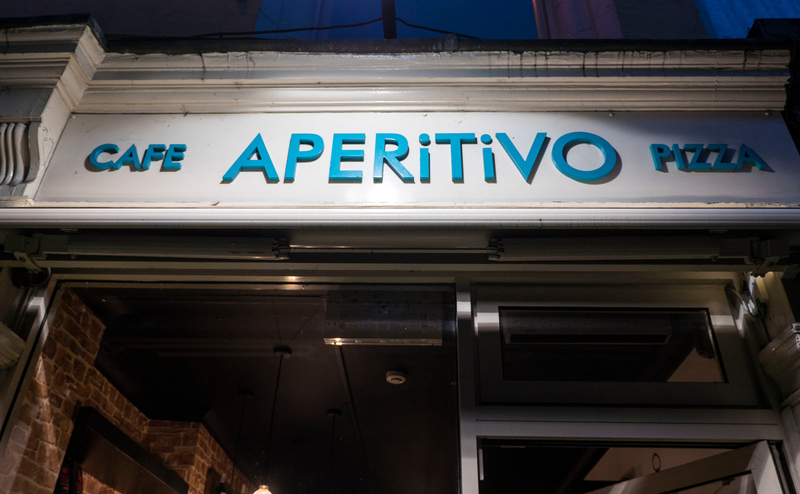 Our second stop, Aperitivo, is a pizza place specializing in vegan pizza. While they don’t serve exclusively vegan pizza, it does make up half of their menu. 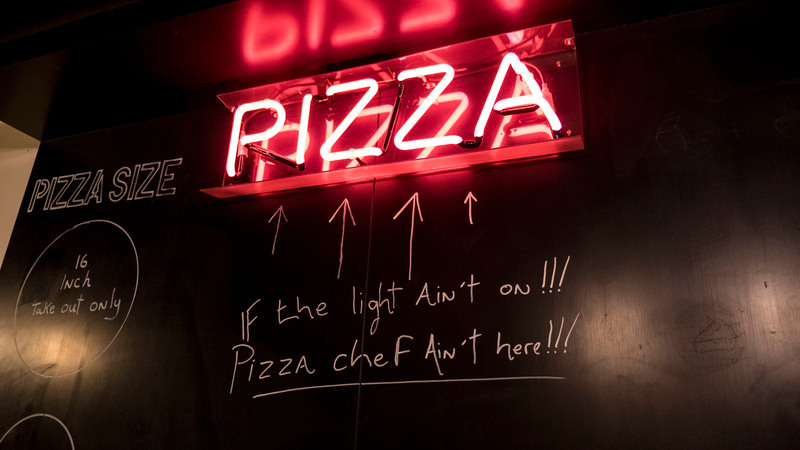 The pizza offerings here are quite original and ranging in variety. We sampled a gluten-free, marinara pizza topped with vegan cheese and gluten-free seitan. The other pizza was the “Vegan Green” with a pesto base, peppers, sweet corn, zucchini, and artichokes. 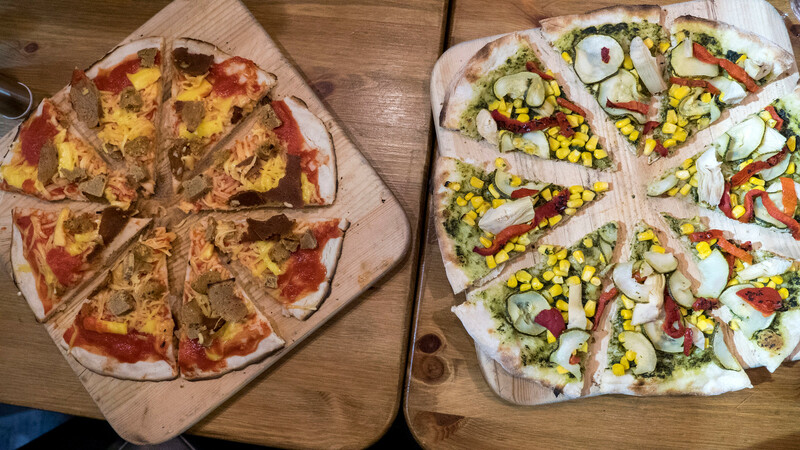 It was excellent to sample two very different pizzas that were both equally as delicious. Now, for something that’s traditionally Irish. We ventured over to Bow Lane, a nearby cocktail bar. 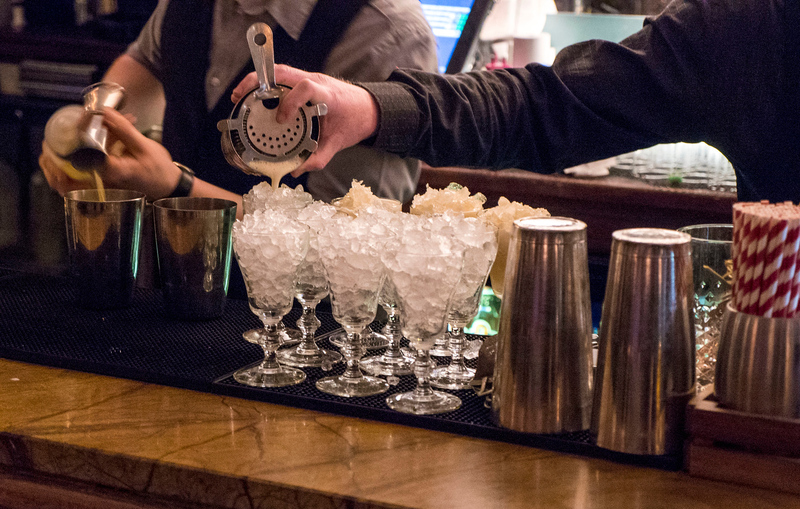 At Bow Lane, we focused on vegan drinks, or drinks that aren’t typically vegan prepared without any animal products. First, beer lovers unite! Guinness recently changed their formula to remove all animal products. So, it seemed only fitting to try a taste of Ireland’s famous stout. 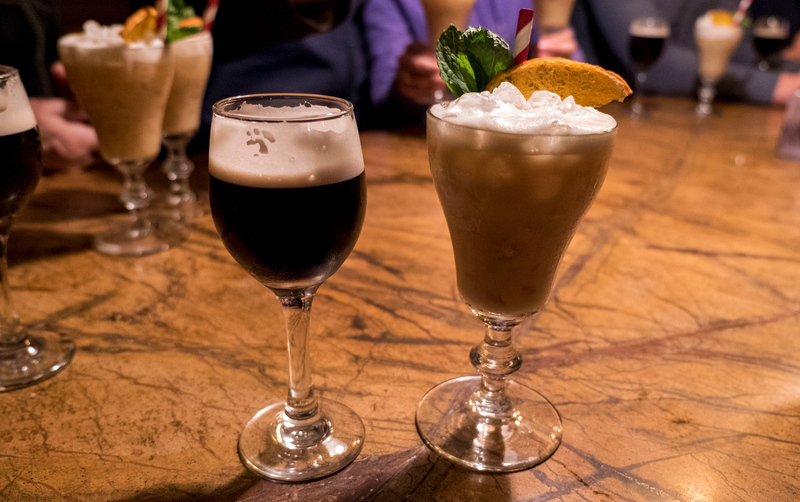 Next, we sampled Scott and Sivan’s creation – a vegan version of Bailey’s Irish cream liqueur. There is a vegan version of Bailey’s that you can buy in the shop nowadays, but this one is a million times better. Easy peasy! It was one of those dangerously yummy drinks that didn’t even taste like there was any alcohol in it. Scott and Sivan told us that we couldn’t visit Ireland without going to a local chipper. 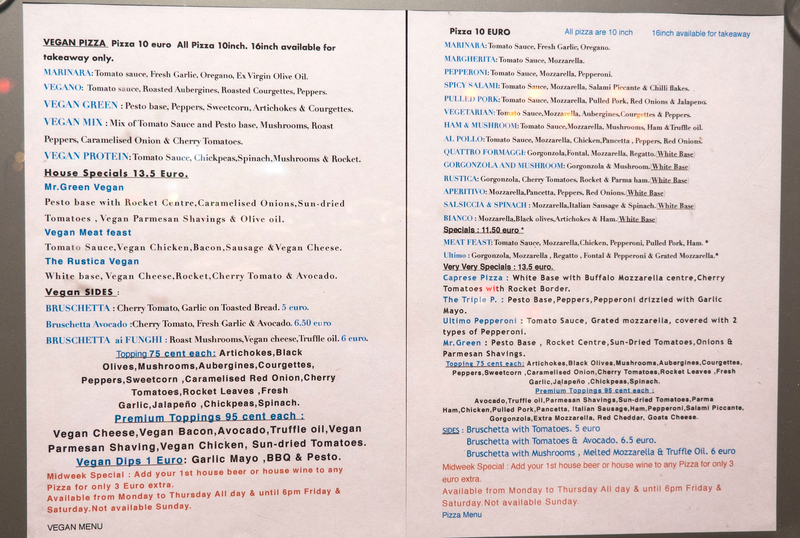 McGuinness has a whole vegan menu in addition to their traditional menu. 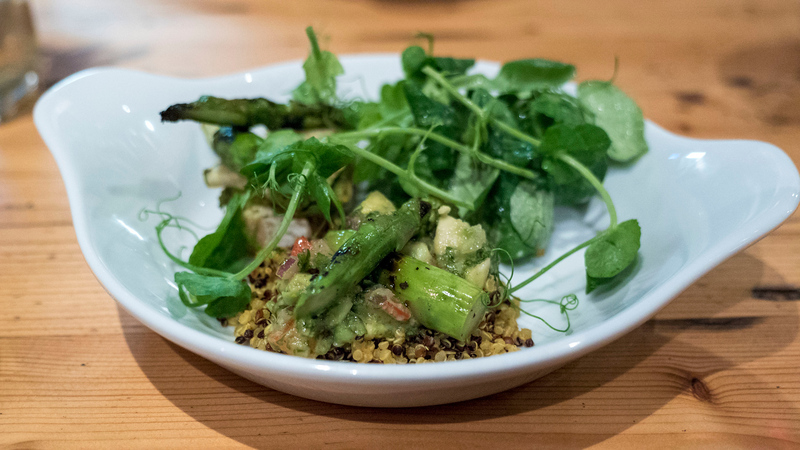 As it turns out, the owners both went vegan and decided to launch a fully plant-based menu. That way, anyone following a diet devoid of animal products could visit the chipper, just like their meat-eating pals. 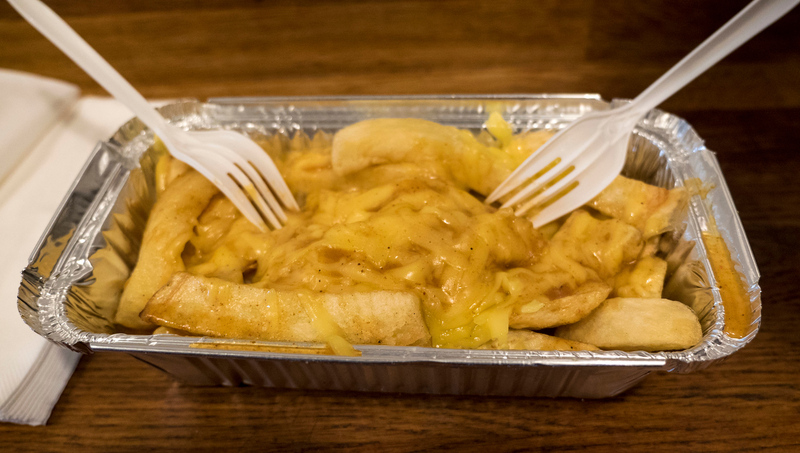 If you’re looking for anything deep-fried, greasy, or a snack that will hit the spot after a night at the pub, McGuinness is the place for you. We sampled onion rings, “chicken” nuggets, meatless sausages, and two different kinds of fries (curry cheese fries and garlic fries). While I adored everything, those garlic fries were really something special. Noms. Our sixth and final stop was Sova Vegan Butcher. Our group retreated to a large table upstairs to indulge in a selection of desserts. Yes, desserts plural! 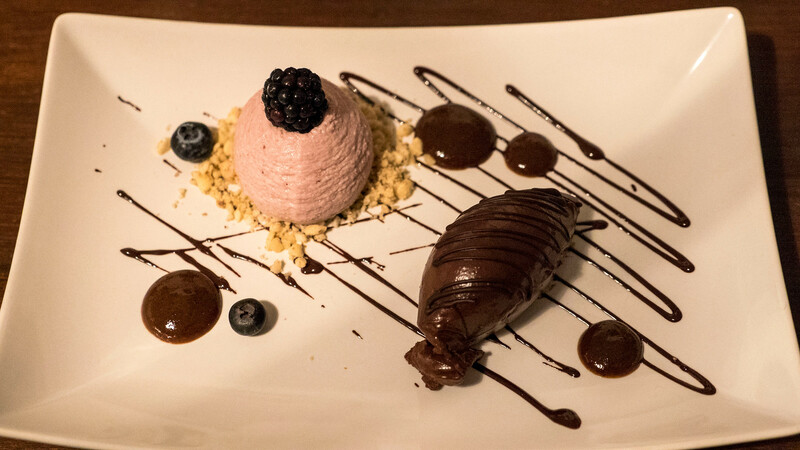 We tried a strawberry cashew cheesecake on a bed of almonds and topped with a blackberry, and an avocado chocolate mousse. The plate also contained a housemade caramel drizzle. The cheesecake was flavourful and not sickeningly sweet, while the mousse tasted entirely of chocolate and not at all like avocado. It was a match made in heaven and the perfect way to end our food tour. Scott and Sivan also treated each of us to a small goodie bag with some vegan treats inside at the end. I’ll leave the contents purely as a surprise – you’ll just have to take the tour to find out what’s inside. 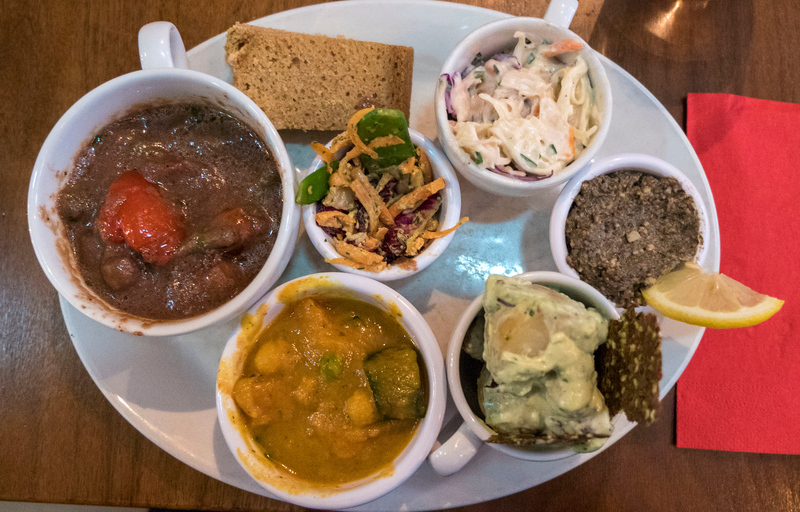 First, I loved the wide variety of food on the Vegan Dublin Food Tour. 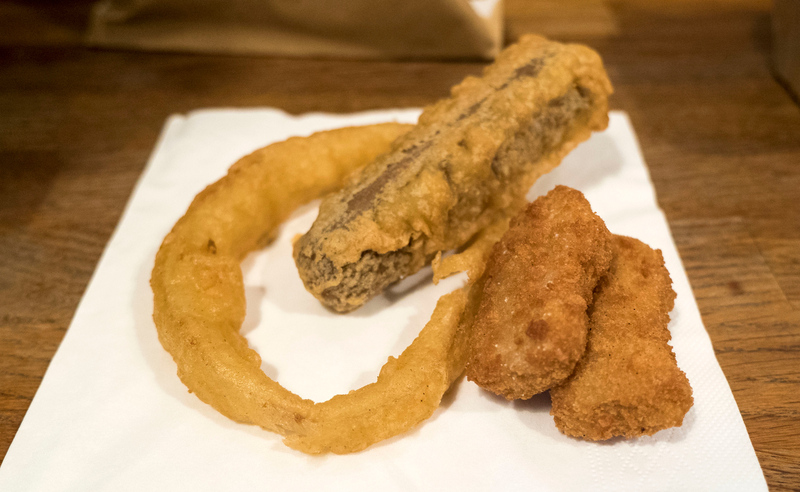 It ranged from healthy plant dishes to deep fried indulgences. There were traditional Irish favourites, and the day ended with dessert. We explored the world of beverages, too. It really couldn’t get any better. 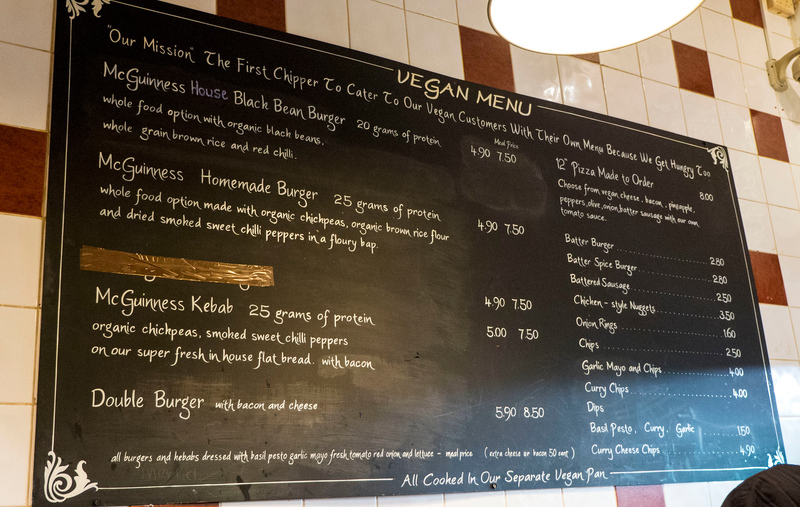 Next, we got to visit several vegan restaurants in Dublin that I’d never be able to cover on my own in a single day. With limited time in Dublin, there’s no way that I could dine at tons of plant-based establishments. With the food tour, I tried multiple small samplings at numerous restaurants, some of which I would have not discovered on my own. Furthermore, every restaurant was within walking distance of each other. We didn’t have to walk far to get from one place to the next. On the way, we got to see some interesting street art. We also had some great conversations walking between restaurants. Our small group on the tour got along famously. Everyone was so lovely, and we exchanged information to stay in touch. We started as complete strangers and left as friends. 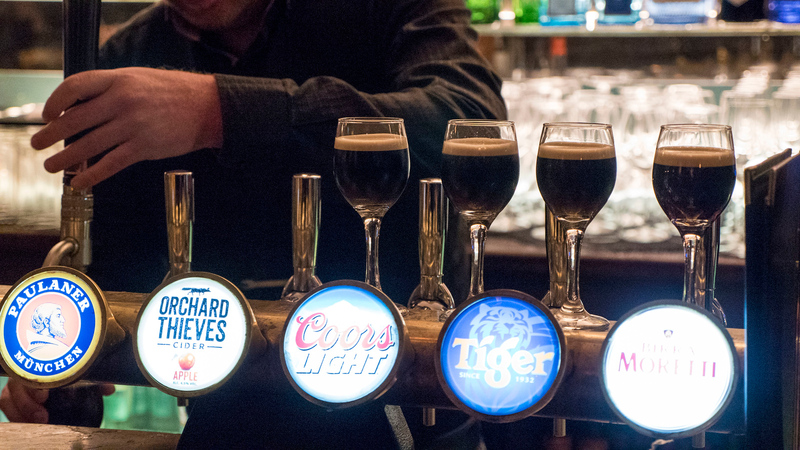 It’s a great way to meet like-minded travellers and locals in Dublin. And finally, our tour guides were fantastic. It was uplifting to be in the presence of such a positive and encouraging couple. While the food was beyond awesome, the people truly made this tour very special. Interested in seeing more photographs from Dublin? Check out my entire Dublin travel photo album from this trip. 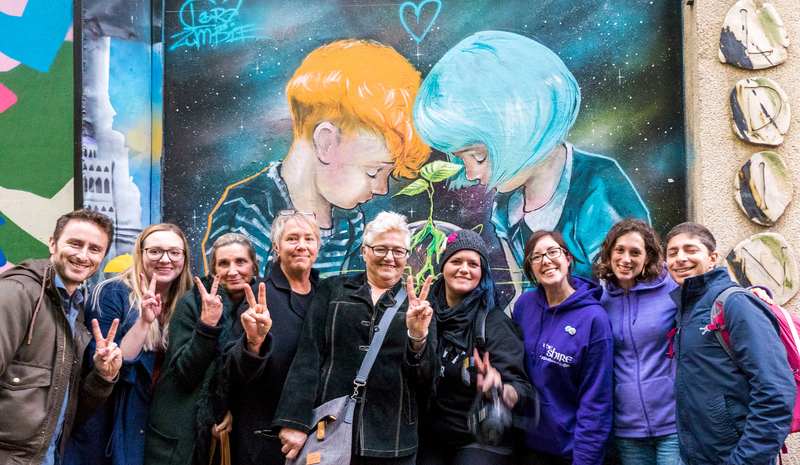 For more information, please check out the Vegan Dublin Food Tours website. Advanced ticket purchases are required and spaces fill up fast. Right now, tours run every Wednesday. 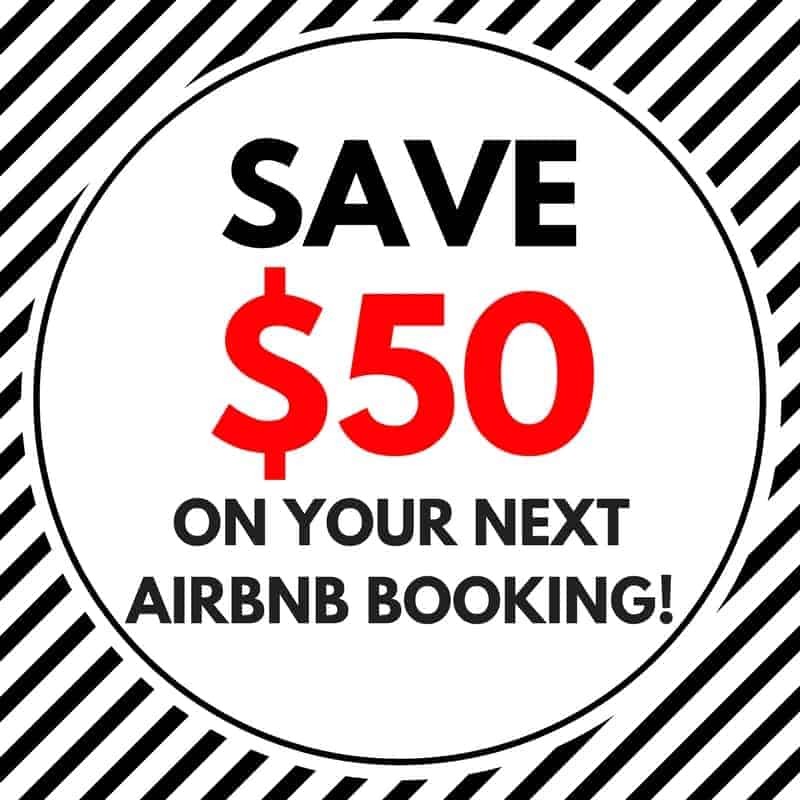 Check out the site to book your tour today! 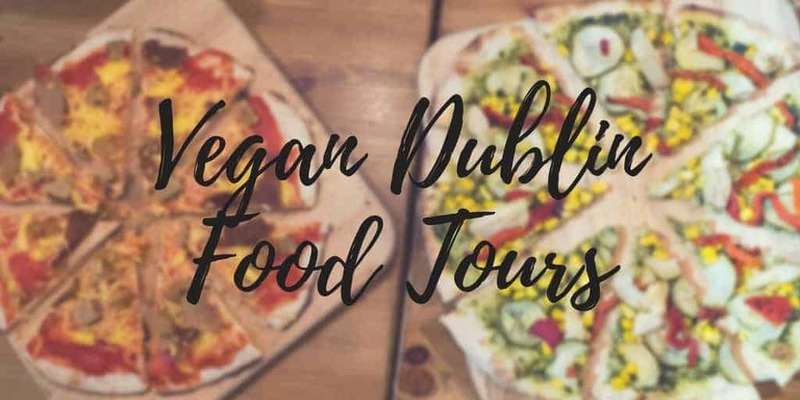 Thanks so much to Vegan Dublin Food Tours for sponsoring a portion of my tour. My opinions, as always, are entirely my own. I highly recommend attending this food tour. Thank you for the wonderful write-up it’s such an honor to be hosted on your beautiful blog. We’ve shared it on our Facebook page and will be following your blogging activity from now on. 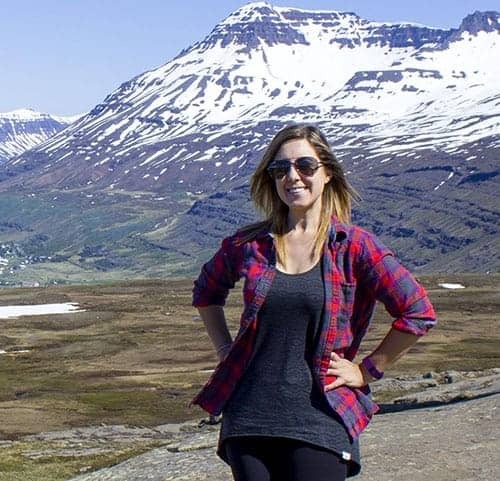 I loved following your trip on Instagram! I was so amazing by all the vegan options! Your trip has inspired me to make a trip to Ireland asap! We have never tried a vegan food tour! We have been on 3 food tours (Seattle, Chicago and Madison, WI) and then turned to veganism. We’re hoping to be able to continue our food tours vegan-style!